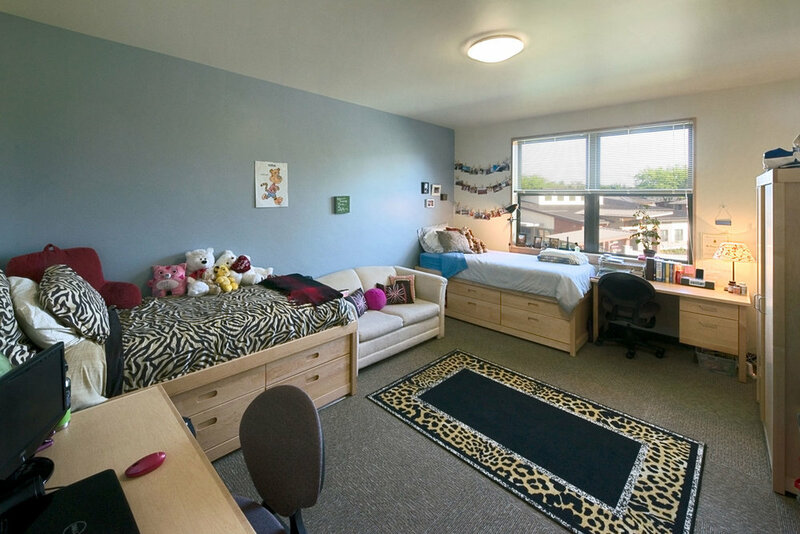 Barto Hall serves as a warm, welcoming environment for first year students. 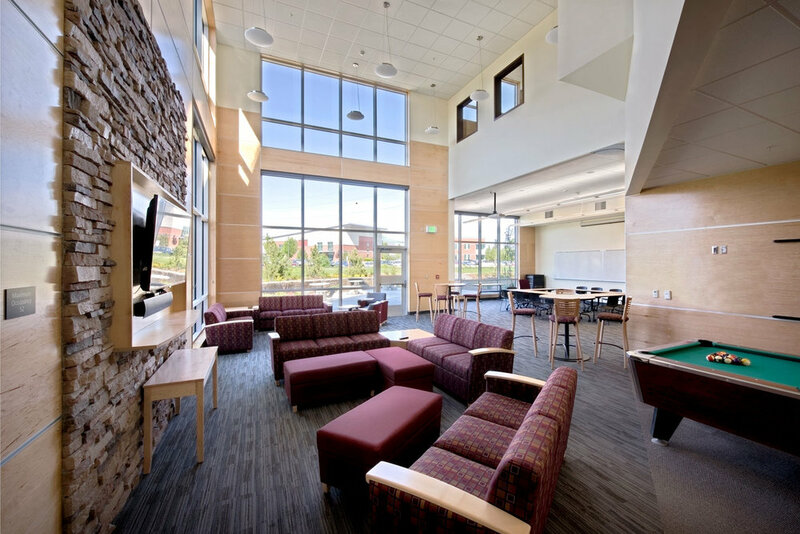 The programming of this building was a pivotal portion of the project, including extensive stakeholder workshops that highlighted the desire for spaces that support collaboration, social interaction, and the development of positive relationships between students, staff, and faculty. 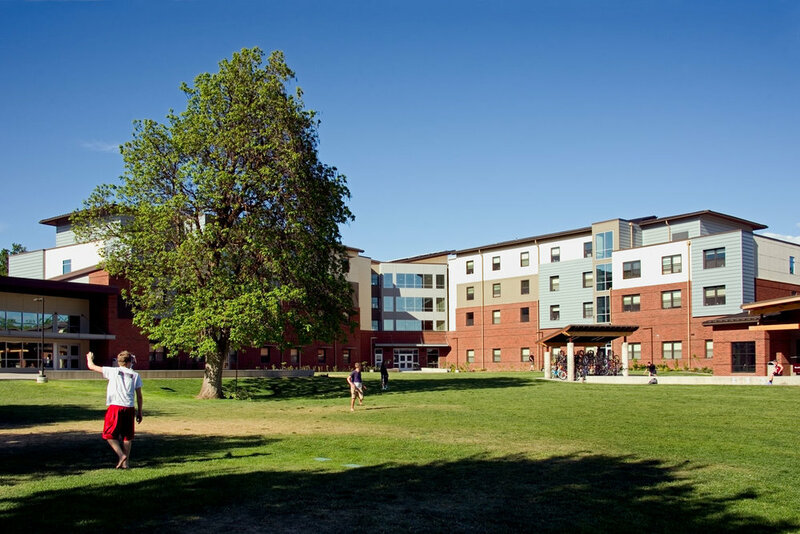 Replacing an existing aging building, the LEED Platinum facility addressed those priorities through its layout, designed to fit around Barto Beach, a large, open, grassy area cherished by generations of students and staff alike. The new facility conserves and enhances the outdoor area, through the inclusion of an outdoor plaza adjacent to Barto Beach, where concerts and events can be held. 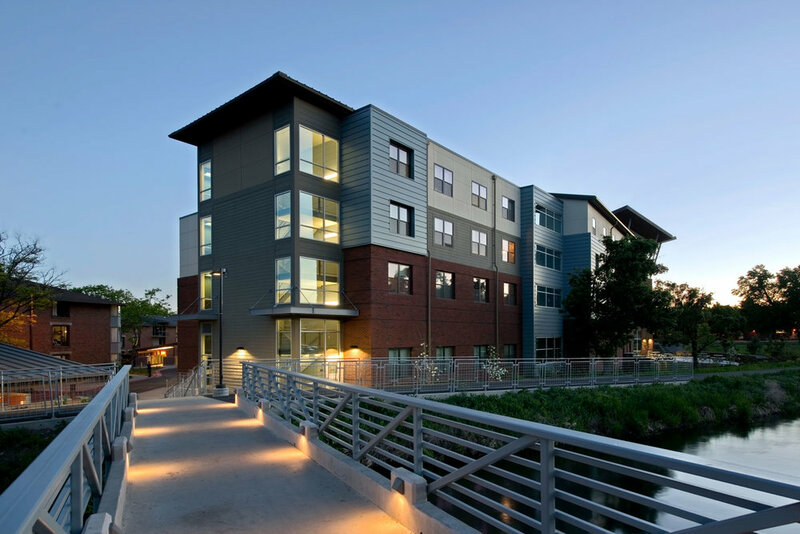 Improvements to Barto Beach and intentional materials choices on the building’s exterior serve to connect Barto Hall with existing residence halls in the East Neighborhood of the campus. The development of a small-scale residential community was encouraged through communal bathrooms, study rooms, and lounges on each floor. A large multi-purpose suite is accessible to all campus students, promoting wider social interaction and incorporating flexible walls, to accommodate use as classrooms or smaller meeting areas. Sustainable features include solar PV panels, solar hot water heating for domestic hot water, extensive use of heat reclamation systems, and several raingardens.